Outdoor service, picnic and sports day, 15 July 2018. We will not be at the school on Sunday, 15 July. 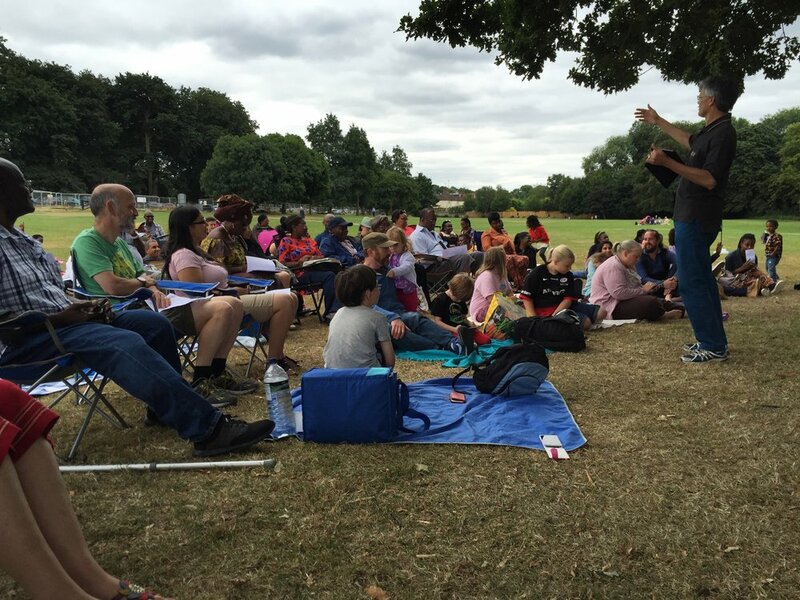 Instead, we will meet together with the North West London church in Cassiobury Park at 11 AM. The attached photograph shows where we met two years ago. We will gather at the same location this time. Please bring something to sit on, a picnic, and as much energy as you can muster!